Private Edward Reuben Campkin (Hertfordshire Regiment) is killed at age 25. He has two brothers who have previously been killed. Second Lieutenant Thomas Godwin Hobbs (Royal Air Force) though wounded by anti-aircraft fire, manages to force land on our side of the lines, thus saving the life of his observer, Lieutenant C R A Wallis, though he has use only of his left arm. Second Lieutenant Hobbs will die of his wounds tomorrow. Lieutenant Colonel Hugh Courtenay DSO MC (commanding 1st Bedfordshire Regiment) is killed at age 30. Lance Corporal James George Cade (Bedfordshire Regiment) is killed at age 23. His brother died on service in August of last year. Private Frank Parkins (Bedfordshire Regiment) is killed. His brother was killed in April 1917. Private Ernest George Diggins (Bedfordshire Regiment) is killed at age 27. His brother was killed in November 1916. Private Major Wilfred Pateman (Bedfordshire Regiment) is killed in action at age 23. His brother was killed in August 1917. 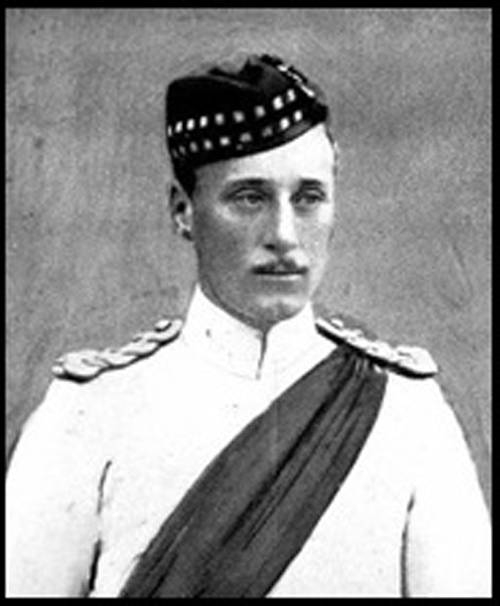 Lieutenant Colonel Walter Lorrain Brodie VC MC (commanding 2nd Highland Light Infantry) is killed in action at age 33 near Moeuvres. He was awarded the Victoria Cross for his actions near Becclaere, Belgium on 11th November 1914 when he led a charge to evict the enemy from a portion of our trenches which they had recently occupied. He bayoneted several of the enemy himself and relieved a dangerous situation in an action that killed 80 of the enemy and captured 51. Lieutenant Colonel Robert Edward Frederic Shaw MC (commanding 13th London Regiment) is killed in action at age 26. He is the son of the Reverend Robert Villiers George Shaw Vicar of Langlebury. Captain Edward Charles Cunnington (Royal Army Medical Corps) is killed at age 28. He is the son of Benjamin Howard Cunnington British Archaeologist famous for his work on prehistoric Wiltshire and the great grandson of the famous antiquarian William Cunnington. Lieutenant Victor Gravers Cowley (King’s Own Scottish Borderers) the brother of Victoria Cross winner Lieutenant Commander Charles Henry Cowley is killed in action at age 24. Lieutenant William Kelvey Stewart (Australian Infantry) is killed at age 33. He is the only son of the Reverend William Stewart. Lieutenant James A Maben (Dorsetshire Regiment) is killed in action at age 32 exactly one year and one day after his brother met the same fate. Lieutenant Howard West Orfeur (Essex Regiment) is killed at age 29. His brother died of injuries in July 1917. Second Lieutenant Gerald Wilfred Francis Clarke (Royal Air Force) is accidentally killed near London. His brother was killed in April 1917 and they are sons of ‘Sir’ Frederick W A Clarke. Second Lieutenant Frank Phelps Elliott (Manchester Regiment) is killed at age 20 near Beaumont Hamel. His brother was killed in October 1916. Second Lieutenant Edward Douglas Rawson (South Staffordshire Regiment) is killed in action at age 26. He is the son of the late Reverend E O Rawson, formerly vicar of Ince, Cheshire. Second Lieutenant Harold Leslie Lakeman (Army Service Corps attached Lancashire Fusiliers) is killed in action at age 29 eighteen days after his older brother has been killed. The two brothers have been considered two of the top three batsmen of the Lenzie Cricket Club prior to the Great War. Second Lieutenant Harold Hargreaves (King’s Own Yorkshire Light Infantry) is killed in action at age 25. He was an actor prior to enlisting in the East Lancashire Regiment. Chaplain Henry Edward Gunson dies on service at home. Chaplain the Reverend Charles Henry Bell MC (attached Royal Berkshire Regiment) is killed in action at age 30. He is the son of the Reverend Canon James Bell. Regimental Quarter Master Sergeant Henry Lawson (New Brunswick Regiment) dies of wounds received in action at age 27. His brother was killed in August 1916. Sergeant James Herdman Coppin MM (Australian Infantry) dies of wounds received in action at age 24. His brother was killed in June 1915 on Gallipoli. Lance Corporal Rupert Love Conrick (Tank Corps) is killed at age 34 when his tank his hit three times and he and his officer are shot and killed when they exit. He has been a popular member of ‘Sir’ Frank Benson’s Shakespearian Company for four years. Private George Farquhar (Auckland Infantry) becomes the fourth of four brothers who will lose their lives in the Great War when he is killed at Albert at age 35. Private George Missin (Northamptonshire Regiment) is killed in action at age 24. His brother was killed in March of this year. Private John Cheverton DCM (Australian Infantry) is killed at age 23. His brother died in England in November 1915. Private John Moodie Carrington (Australian Infantry) is killed. His two brothers have been previously killed in the war. Private Albert Edward Hodsen (Royal West Kent Regiment) is killed at age 18. His brother was killed in May 1915. Private Mitchell MacClaren Quirie (Gordon Highlanders) is killed at age 19. His brother was killed in July 1917. Private Arnold Jones (Shropshire Light Infantry) is killed at age 20. His brother was killed yesterday. Private Francis Bickers (East Yorkshire Regiment) is killed. His son will die serving in the Royal Air Force Volunteer Reserve in August 1943.